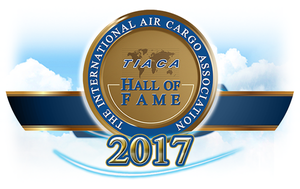 TIACA’s Hall of Fame which was founded in 1997 to recognise and honour members of the aviation industry who have greatly contributed to the development of the air cargo industry, has a long list of 50 members on their walls. These range from aviation pioneers such as Oleg Antonov and Martin Schroeder to air cargo stalwarts who include John Emery Jr, Jacques Ancher, Ned Wallace, Chris Chapman and many more. Des Vertannes who started his aviation career back in 1970 at British Airways is a true air cargo veteran who has during the past 47 years has contributed much to the advancement and further development of the cargo industry. I have known Des for many of those years and have always admired his quiet and determined way of tackling issues, his closeness to those around him and his respect for his competitors. He has had a varied and successful career, one which has enabled him to become an inspiring leader and who has never shied away from a challenge. 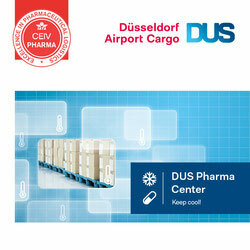 Des set up his own forwarding business in 1984 before joining Air Canada as General Manager Cargo in 1991. He spent quite some time as Head of Cargo at Menzies World Cargo before moving back into cargo management positions at Gulf Air and Etihad Airways. 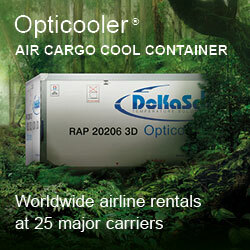 IATA Cargo - the biggest challenge? It was in 2010 that Des Vertannes probably took up his most challenging position. 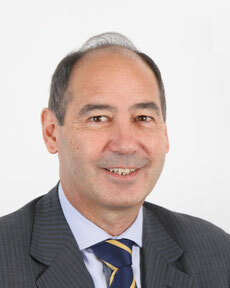 He became Head of Cargo at IATA - a position he held for four years before deciding to retire from the business in order to spend more valuable time with his family. It was during those four years that Des “blew a new wind” through IATA’s halls. He gave IATA Cargo a new face with his open and determined way of taking on the problems facing the air cargo industry and did not shy away from impressing on the industry the need for change and closer cooperation. CargoForwarder Global asked Des Vertannes on the weekend if he would comment on his induction into the TIACA Hall of Fame. A long standing guiding hand in the industry has stepped back from the day-to-day role and now takes his well earned place next to his 50 predecessors in the Hall of Fame. Des have really deserved it. I am so pleased to see TIACA recognize a most deserving person who has contributed so much to our industry and no matter in which forum, everyone is a better person after working with you. You are a true gentleman, leader and friend! Congratulations and all the best. It was a pleasure working with you for so many years !